European Roulette is a popular and more profitable version of Roulette. 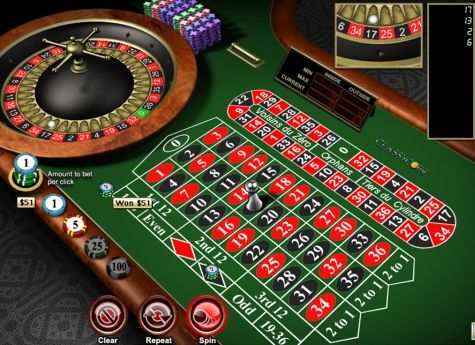 Most Casinos and all Online Casinos offer European Roulette in some form. With the same general game play and rules as American Roulette and French Roulette, European is one of the more popular versions of roulette based on the fact that there is only one Zero on the wheel. With there only being one Zero it greatly increases the players chances of winning and odds while decreasing the house edge. To the casual gambler having only 1 Zero may not seem like that big of a deal, but believe me its a huge advantage to the player to play this version. In this article we will go over all there is to know about European Roulette including; How to play, Where to play for both Americans and Non-Americans, Odds, House Advantage, Bets list and also list some of the different variations of European Roulette, how to play the version and what makes it different than the standard version of European Roulette. European Roulette, like all versions of Roulette, is just you trying to determine where the ball will land be it a single number, a group of numbers or even the color for which slot the ball will land in on the wheel. One of the major differences between European and American Roulette is the single Zero opposed to the Single and Double Zero. This is a huge advantage for the player and why this is the more desirable version of Roulette for both Online and real Casino Roulette players. Another difference with European roulette is “En Prison” rule. With the “En Prison rule”, if the ball lands in Zero after the player places any even money bets ie; red, black, odd, even etc.then the player gets half the of their original bet back. Also known as “La Partage” in French Roulette. In some versions the players may also choose to imprison their bet, rather than lose half. So if on the next spin an imprisoned bet wins then it is “released” back to the player without the player receiving their winnings from the spin. First you will want to determine how much you are willing to bet on the spin. To do this you will place a chip, each chip will represent a different amount of money, on the number or group of numbers you think the ball will land. You can place as many chips/bets that you want per spin of the wheel up to the table maximum. So lets say that you would like to bet $50 on the that the ball will land on a Odd number. The wheel spins all bets are placed and the ball lands on the number 27. So with 27 being an odd number you win. Other winning bets would have been; Red, 3rd 12, 3rd column, 19-36 and also if a player were to bet the number 27 itself. All winning bets would pay out differently and accordingly. Without a doubt, Classy Coin Casino: (Closed down - Americans we recommend WinADay, everyone else we recommend Video Slots). A $10 no deposit bonus and so many other features such as European Roulette and French Roulette, and even Multiplayer Roulette. The best place for Non-Americans to play European Roulette is at Omni Casino (Not available to Americans, but check out Roulette 5 at WinADay Casino instead.). They also offer a bunch of different versions of European Roulette for users to play including; 3D Roulette, Video Roulette, Premium Roulette and Multi Wheel Roulette. Also a great Casino where your location doesn’t matter. There are plenty of options to bet on in European Roulette each with different Odds for each. Below we will go over each available bet and what the odds and payout would be for each using a $10 bet as an example. There are many different types of bets to make in European Roulette. And below we will go over them and explain them to you. Just like playing at a real casino just from the comfort of your own home. This game has great table limits of $1.00 – $800.00 so this appeals to everyone from rookies to the high rollers. Another great feature about this game that you won’t find at a real Casino is that the dealers are all beautiful women. So it makes it easier when you can look at something like that for an extended session of European Roulette. Head to MyBet Casino (Not available to Americans, but check out Roulette 5 at WinADay Casino instead.) to give this a try. Featuring real life graphics, crazy table limits, full stats and history including hot and cold numbers this is a great alternative to normal European roulette. This version also offers user the “La Partage” which as you know is an amazing tweek to an already amazing game. If this sounds like something that interests you, it is available at Omni Casino (Not available to Americans, but check out Roulette 5 at WinADay Casino instead.). This version is designed for high rollers. With incredible table limits, a Live Dealer and he ability to play on up to 3 tables at once this is a very popular version of European Roulette. This version also gives players the option to bet on Racetrack bets. Titan Casino (Not available to Americans, but check out Roulette 5 at WinADay Casino instead. )is the place to play Exclusive European Roulette.